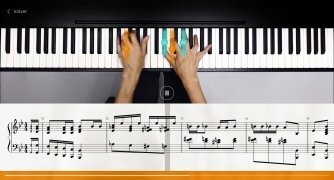 The piano is one of the most attractive music instruments around, essential for anyone who wants to write music at a professional level and also on which theoretical music teaching is based. 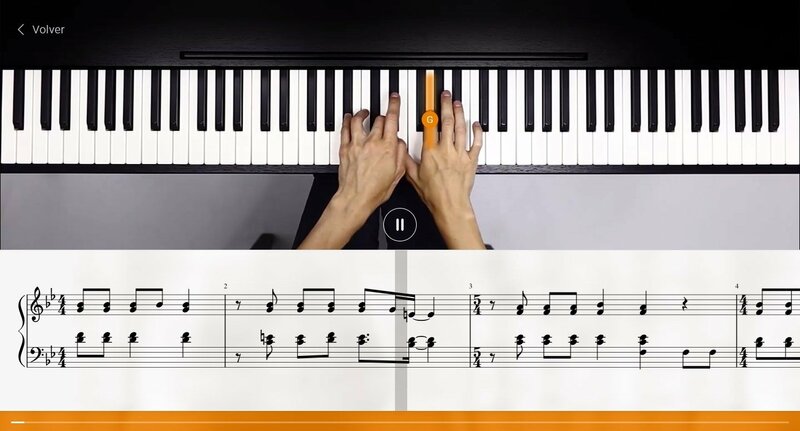 In turn, its capacity to adapt almost any song makes it one of the most popular instruments among people who want to learn how to play, but many don't dare to take the next step because they think it's complicated. 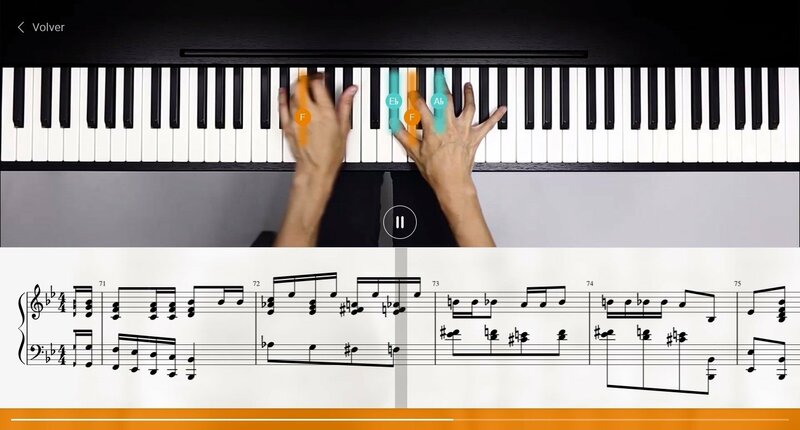 And although it's true that you'll need to spend lots of hours studying to be able to play it like a professional, you can also reach an excellent level by means of the self-taught method offered by Flowkey. 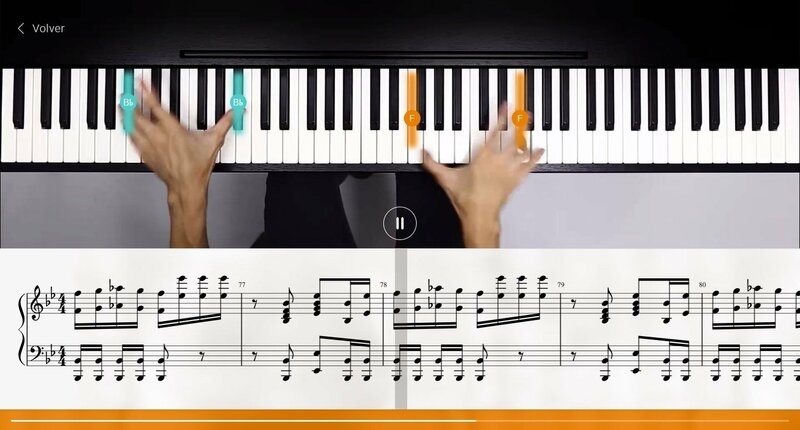 This online piano teacher will help you to learn by means of popular songs and with variable difficulty levels, adapting to your knowledge and skills. 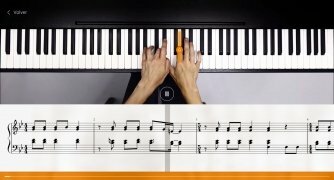 This application to learn how to play the piano has been developed by teachers and professional musicians who have adapted their know-how and methods to the system provided and that introduces you to everything you need to know about notes, chords, and technique. 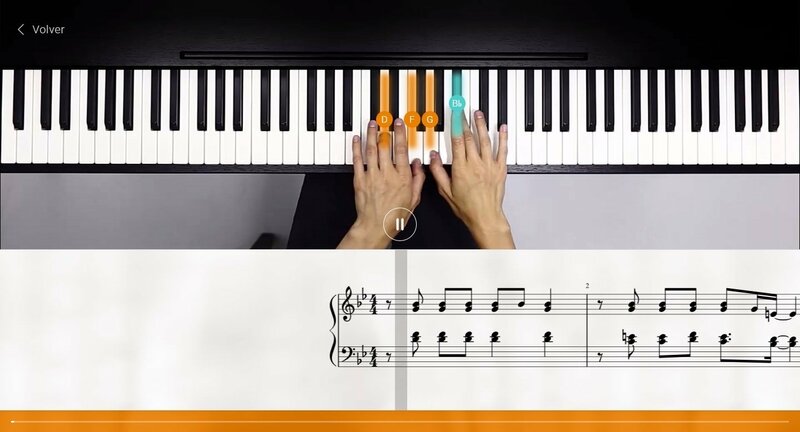 It's based on a simple yet efficient method: split-screen videos in which on the top part we can see a keyboard with fingers playing the corresponding notes, whilst on the lower part we can see their representation on a stave. 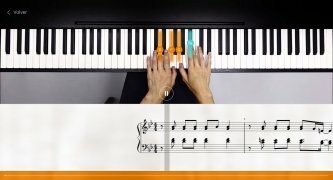 The only thing the student has to do is place his monitor on the piano or keyboard and try to follow the songs imitating what he sees. 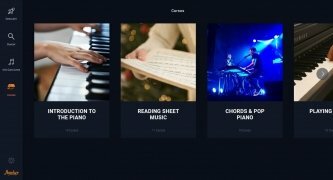 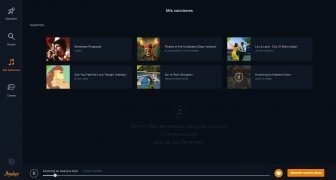 Furthermore, there's also a version for Android and iPhone so you can use the app from your tablet as well (much more manageable than a Windows or Mac computer screen). 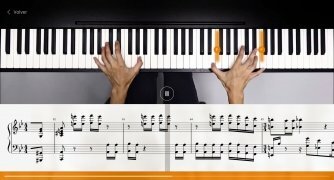 An excellent online course to learn to play the piano. 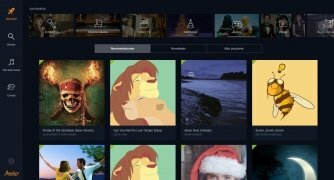 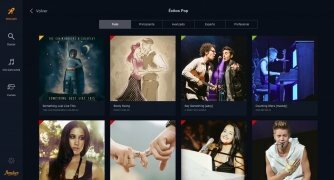 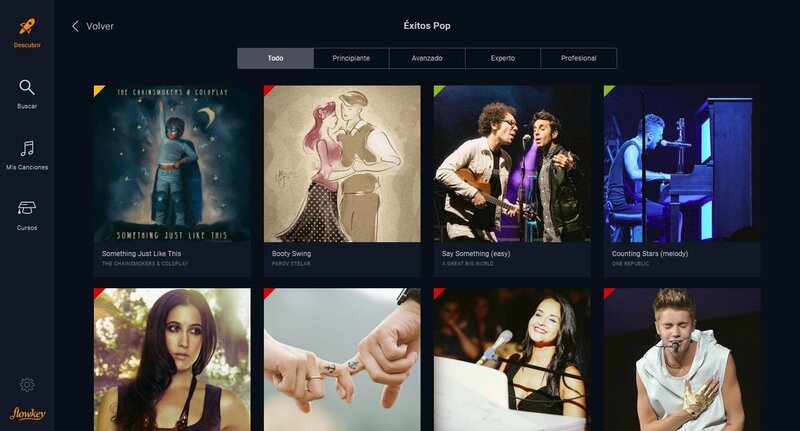 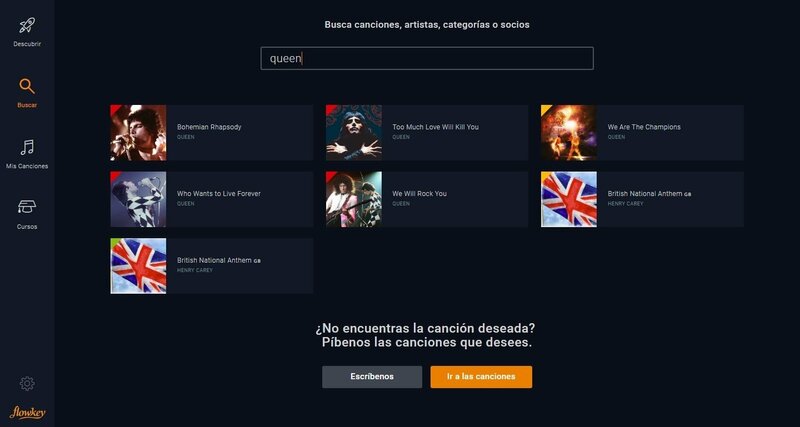 Discover recommended songs, new songs or the most popular tracks among users. 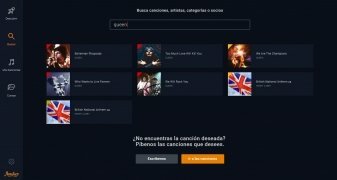 You can also search by name, artist or category. 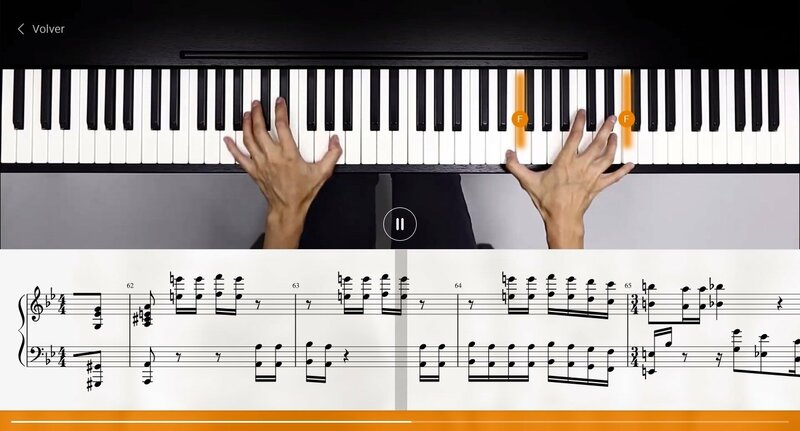 Like a certain song? Then include it in My Songs. 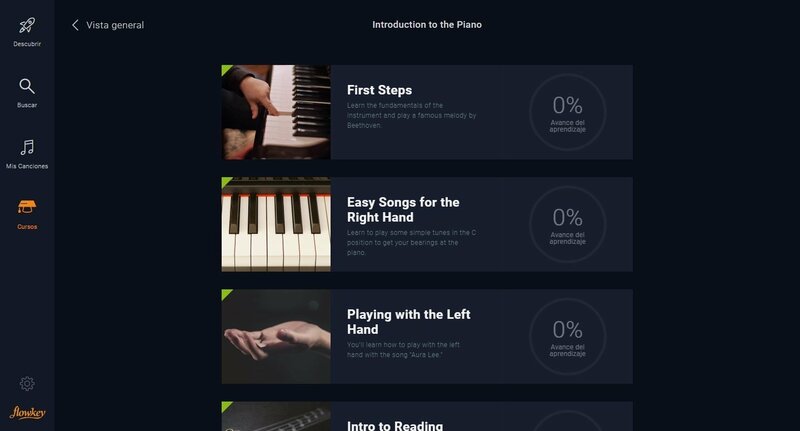 Follow the courses step by step to learn how to play. 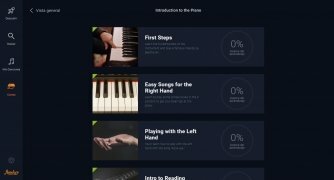 Does this mean I'm not going to learn how to play like a professional? Not at all because Flowkey comes along with courses that teach you all the essential aspects about learning to play the piano such as an introduction to the instrument, guidelines to learn how to read tabs or methods to play scales. 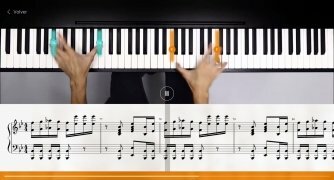 Without a doubt, it's one of the best methods to learn how to play at your own pace and comfortably from home: choose the subscription plan that suits you the best in terms of time and price, and finally learn how to play the piano.